Fortunately, that scenario is only hypothetical thanks to something called the three-tier system. The three-tier system governs the sale and distribution of alcoholic beverages in a way that benefits customers, retailers and the local economy all at once. In order to get their products onto shelves, breweries and winemakers usually have to go through a distributor, or wholesaler, instead of selling directly to customers. 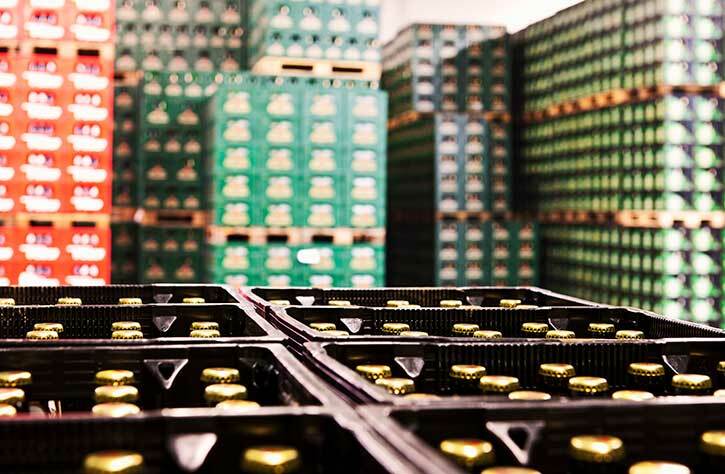 Using warehouses and temperature-controlled trucks, the distributors can then safely deliver the beverages to the retailers. Under this federally-mandated process, all parties involved are held accountable for their actions in a system of checks and balances. Variety – Customers can walk into almost any store, bar or restaurant at any given time and view a large selection of items. This includes both domestic and imported beverages. Protecting Consumers – It helps prevent the sale of counterfeit and unsafe alcohol, keeps alcohol traceable and ensures all parties involved are correctly licensed. That way, customers can feel confident with their purchase. Encouraging Healthy Competition – Without independent distributors, the industry would likely be monopolized by large conglomerates. The three-tier system prevents that from happening by encouraging American enterprise and giving smaller producers a chance to get on the market. Collecting Taxes – The three-tier system also makes it easier for the government to tax alcohol. Instead of dealing with thousands of individual retail stores, they can simply tax the distributor and use them to enforce laws regarding alcohol. This allows the industry to be more transparent about the sales, tax and consumption of alcohol nationwide. Providing Value and Efficiency for Retailers – By working with distributors, retailers get help with point-of-sale advertising, merchandising and stocking – all at reduced operating costs. Plus, they get access to a diverse range of product offerings with fair market prices. Community Involvement – Due to such a high level of accountability in the industry, distributors are dedicated to preventing unsafe alcoholic consumption, drunk driving and underage drinking. Through sponsored events and programs, they can do their part to keep alcohol use legal and safe. With hundreds of brands representing tea, juice, energy drinks, soda, craft beer and more – plus over 20,000 retailers – distributors like Columbia Distributing help make it easy for customers to purchase alcohol and stay safe. For more about the three-tier system, simply fill out our online form now.